It looks like Livestreamer is no longer maintained, so a fork, called Streamlink, was created recently. 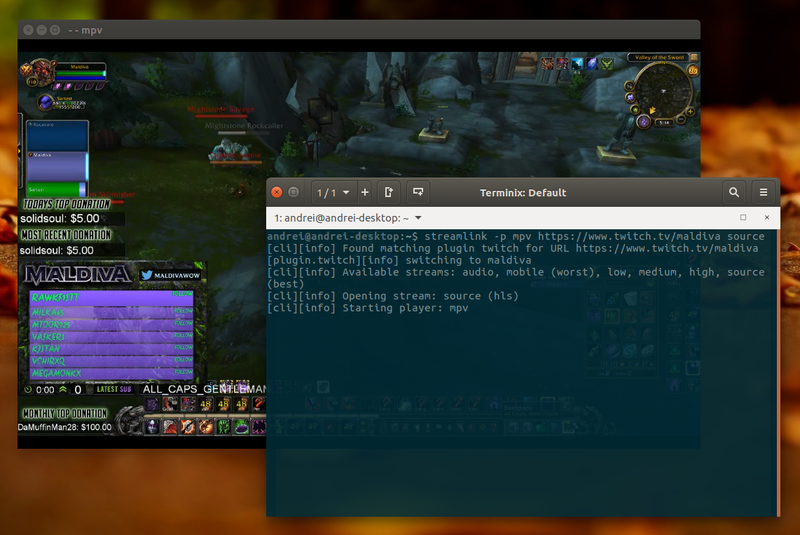 There are no Ubuntu packages for the new fork, so I uploaded Streamlink to the main WebUpd8 PPA. The PPA uses the Livestreamer Debian packaging, renamed for Streamlink, so the packaging credits go to Stefan Breunig, the Livestreamer Debian maintainer. In case you're not familiar with Livestreamer, this is a command line utility (and API is also available) that pipes video streams from services such as Livestream, Twitch, UStream, Youtube Live and more, to video players like VLC, mpv, and so on. The Livestreamer developer hasn't committed any changes or responded to issues in some time, so it seems the project has been abandoned. Due to changes in various video streaming services, some Livestreamer plugins no longer work properly - for instance, the Livestreamer Twitch GUI developer had to implement some workarounds to get Twitch to work (by the way, he also added initial support for Streamlink). Streamlink fixes quite a few issues (for twitch, picarto, itvplayer, crunchyroll, periscope, and douyutv, among others) present in Livestreamer, while also adding plugins for new streaming services. Check out its changelog for more information. Streamlink is available in AUR for Arch Linux users. To download the source, report bugs, etc., see the Streamlink GitHub page.